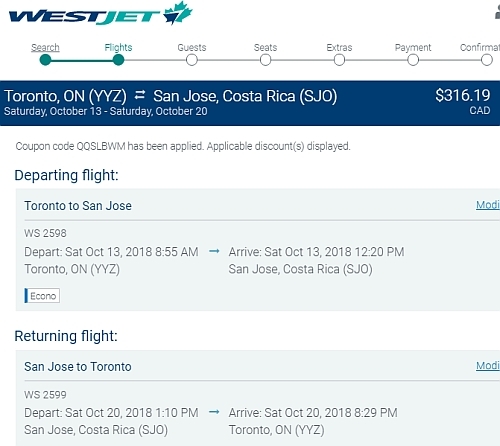 WestJet has dropped the price of their non-stop flights from Toronto to San Jose, Costa Rica down to $316 CAD roundtrip including taxes. toronto, yyz, westjet, flight deals, costa rica, central america, san jose and sjo. 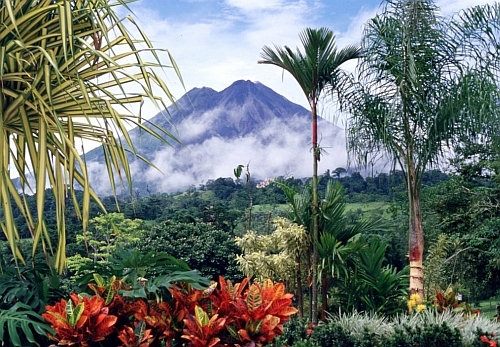 2 Responses to "Toronto to San Jose, Costa Rica - $316 CAD roundtrip including taxes | non-stop flights"
Booked! I accidentally chose the wrong dates so I was able to cancel and rebook easily.